Last week at IFA Berlin, a number of big players in the tech arena announced the coming of third-party home speakers with the Google Assistant baked right in. Mobvoi, Anker and Panasonic led the charge and now, Sony and Onkyo have followed suit with their own renditions of Assistant-enabled products. As you can imagine, many have already begun the “head-to-head” comparisons to Google’s already popular Home smart-speaker. Don’t get me wrong. I get it. We all want to know which is better and frankly, creating a dramatic battle of the devices makes for catchy headlines. Google’s goal (Sundar was very forward about this) is to get the Assistant into as many products across as many platforms as they can. That’s exactly what they’re doing. Do they want to sell Google Home speakers? Sure they do. I can imagine the profit margin is fairly decent on the little smart-assistant and every one that leaves shelves is another opportunity for Google to connect with the general public. However, third-party, Assistant-toting speakers aren’t competition for Google Home. If you go with #madebygoogle or you decide the $355 JBL is more up your alley, Google still gets what Google wants. The Google Assistant connects users on a deeper, more brand-centric level than ever. Connecting smart-home product from light bulbs to thermostats and even your appliances in the very near future. What does this mean for Google? It means data. It means demographics and analytics that better help the search giant to create targeted, user-specific advertising which is the financial backbone of the company. Don’t let that be a deterrent for using smart-home and connected products because it also means advances in development. Data mining based on individual users is what helps propel the development of new and better software, hardware and services. Besides, you ultimately have control over the data you share. If the Assistant, Alexa or SIRI aren’t welcome in your home, there are a plethora of BlueTooth devices that can fill your needs. In July, Google announced that the Assistant was available on over 100 million devices. That’s not to say it was being actively used on that many and it’s not clear if that was just a reference to Android devices or Google Home as well. Either way, the expansion of the Assistant to third-party devices like speaker and yes, even Chromebooks means the potential for exponential growth for Google’s smart-helper as consumers begin an inherent embrace of brands they may already have an affinity for like Sony or LG. The manufacturers understand the value as well. Even Harmon Kardon owner Samsung, with their own Bixby assistant, chose to launch their first smart-speaker with Google’s platform as opposed to their own. Google is in the data business and Samsung knows this as well as anyone. 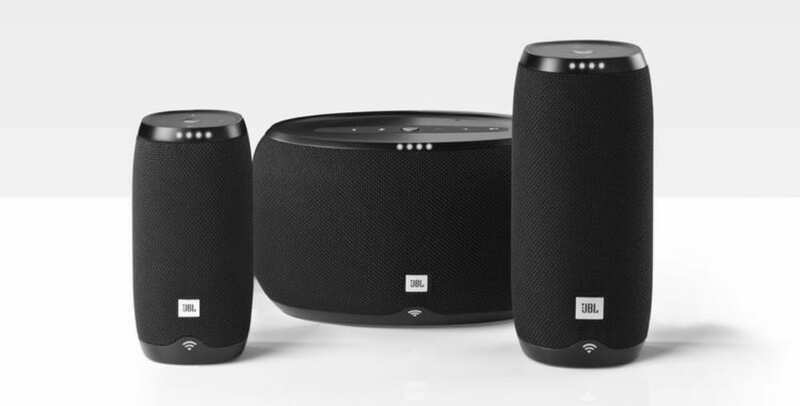 Putting the Google Assistant in their JBL Link speaker series is a no-brainer when you look at the capabilities compared to Bixby. Here’s the moral of the story. Google is making more products and we love that. If the day comes that my office and my home can be, for the majority, #madebygoogle, I’m in. But, we’re kind of the exception around here. We’re fanboys and we admit it. Consumers want what consumers want. Brand loyalty runs deep and bigger and better is the American way. Google knows this. You know this. Google is placing a big wager on that fact and taking aim at a much, much bigger goal than selling you their hardware. Thoughts? Are you ready for the Google-connected home? Drop your comments below and don’t forget to subscribe and get the latest from Chrome Unboxed.